I totally agree with you. It was a very slow start for me but then I had to force myself to put it down. So maybe I have reason to be SLOWLY reading this book on my ipad… I want to like it (love the concept) but I have been reading this book for over two weeks and am just 70 pages in. I’m hoping to get in some reading this weekend. I actually thought maybe I should listen rather than read this one. I can definitely see having a hard time staying with it in print initially. Switching to audio might really help, otherwise I would advise you to keep going if you can. For being an audiobook newbie, I’ve accumulated quite a collection. Next week, I’ll be commuting again, so I hope to get a lot more listening done. 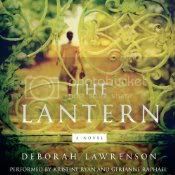 The Lantern sounds like one of those that I would have to do on audio, to help me get past the slow parts. That’s how I made it through A Discovery of Witches, and I ended up really enjoying that book. I was just debating getting this with my Audible credit last night, but wasn’t sure. Now, I see I should have picked it! It’ll be my pick next month, for sure! I had planned on posting an audiobook review, but had to do my NerdsHeartYA post instead. I will post it next week though. It seems like I can tolerate slow starts to a story on audio. Kate Morton’s books, for example, really make you work for your rewards, but is very worth it. I’ll see if I can get my hands on this one. This is on my list, but I don’t have as much patience with audiobooks as I do with print, so with a slow start I think I’ll stick with a print version. That’s fair. For me, I only have one audio going at a time, so I’ll just keep going back to it during those times I listen to audio. Slow starts in print may suffer from benign neglect because I often have multiple books going in print. I’ve got this one on my TBR list, but I think it might be a really good fit for me in audio. I’m going to have to look for it. It is wonderful when the narrators get the voice of the characters just right! This was just SO AMAZINGLY RIGHT. I will now listen to anything she narrates, ever. I agree. I just loved Kristine Ryan’s voice. I wonder where she is from. Do you know what other books she has narrated ? I’m hooked. From what I’ve seen she is an NYC actress. She read the copyright information at the end, and it just sounded like she had a typical American accent. Thank you for the response. I have done some research myself and I believe Kristine Ryan has another book she narrates coming soon. I will let you know more when I find out. This sounds really good, but I have a feeling I’d do better with a print copy since it starts out slow. I love hearing about a good narrator! Is this the one that has been described as having a somewhat Gothic feel to it? I could be getting it confused, but I think I’ll eventually get around to reading this one. Usually I can plow through a slow start if the middle and end are engrossing! Yes, there is definitely a gothic feel to The Lantern! I’m glad this is a good audio production. I already have a copy and will be listening to it soon. Lately I’ve been doing more listening than actual reading. Thank you very much indeed for this lovely, perceptive review, Jen. I’m so pleased you enjoyed both the book and the recording. I just had to let you know that your reaction to Kristine Ryan’s voice was exactly the same as mine! It’s a tricky, unusual accent to make work, but she is quite amazing. 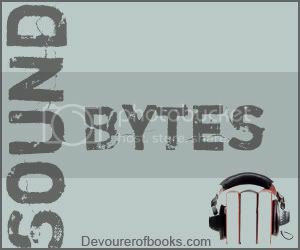 When I first heard a sample online, I was knocked sideways by just how brilliantly she captured the tone that was on my head when I wrote the book. Just perfect. If it’s OK by you, I’d like to put a link to your review in my next blog post tomorrow (Saturday). Absolutely! And thank you for creating such a lovely book! PS. Since I wrote this comment, I’ve been sent the whole recording and had a chance to appreciate Gerianne Raphael’s part too (hers wasn’t on the sample I first heard). Hers is another superb performance, with a gorgeous, lilting but never overpowering French accent. It really is a winning combination! Absolutely! Gerianne gives an incredibly strong performance as well, both women were wonderful. Kristine just blew me away, though, with her adept use of that difficult accent. For some reason I just couldn’t buy into this one. I’m not sure if it was because it was a “gothic” story set in modern times or what the problem was for me. I do agree that the author wrote it beautifully and I was able to feel as if I was there at time. There is something about this cover that really draws me in. I’m going to have to read this one. Although I’m going to read this one in print instead of audio, I am really looking forward to it. Fingers crossed for a read-a-long mentioned on Twitter. Great news Kristine Ryan fans. She will be narrating a book called Dark Predator which is out this Tuesday Sept 6th. I am giddy with excitement ! I can’t wait hear what she does with this book. I will let you know as soon as I get it how it is. And you are correct, she is a American actress. I wonder if she multilingual or maybe she lived abroad ? Maybe the author knows her. From my conversation with the author after this review it does not appear that they know one another. Thanks for bringing back the information about her next audiobook!